WEN, ARBONNE & ORGANIC COLOR SYSTEMS: VEGAN! I used to think that a vegan skin or hair product was something that was just as simply made in the kitchen with avocados or olive oil or sugar as something you would buy in Whole Foods. Not that there’s anything wrong with that—it’s fun to experiment with do-it-yourself kitchen remedies. But I’m at the age when I need some research and development and science working for me too. Sure, beauty comes from within but the outside needs just as much maintenance! For years, I’ve been using several vegan products from three companies that don’t seem to market themselves specifically as vegan. Do you think marketing a product as vegan limits the type of consumer it attracts? Possibly, but, as we are being propelled into the ever-growing frontier of plant-based nutrition, advertising a beauty product as vegan will hopefully become a major selling point for vegans and non-vegans alike and not a tiny, hard to read word at the bottom of the back label. The terms “vegan” and “scientific” are not necessarily mutually exclusive qualities. I know I could never replicate these in my kitchen and I know that I like them better than other products that I’ve tried, vegan or non-vegan. 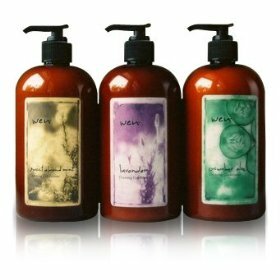 Wen Haircare: Vegan! When I saw the infomercial, as I’m sure you have, I really didn’t know what to think because I’m very skeptical about promises of miraculous results. I was willing to try it because all the shampoos, conditioners and leave-in products did nothing to improve my fragile, dry, processed hair. My hair stylist told me that one ingredient you want to avoid on colored hair is sodium laurel sulfate, which is the ingredient that makes the suds. I found that no matter how conditioning a shampoo claims it is, if it has sodium laurel sulfate and you’re getting that squeaky-clean lather, there’s a good chance it’s drying out your hair. She also informed me that hair coloring products put that ingredient in to rough up the cuticle so that the coloring can penetrate. So your color naturally will fade with repeated use of shampoos that have sodium laurel sulfate. Wen Haircare does not have sodium laurel sulfate or any of the detergent type ingredients that most shampoos have and, hence, I saw a difference in the texture of my hair right away. After a couple of months, I experienced less breakage, more shine and smoothness. Wen offers a variety of plant-based scents, such as vanilla-mango, fig, pomegranate, sweet almond mint, and although they don’t specifically advertise that they are vegan, they have confirmed it. 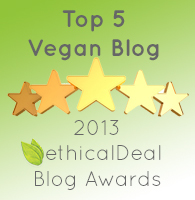 They offer a money-back guarantee, so add that to your list of vegan products to try and hopefully love! 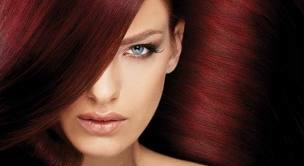 Organic Color Systems: Vegan! While we’re still discussing hair, another important factor in getting healthy “vegan” hair is finding the most organic yet most beautiful, long-lasting color that is on the market. Not only is Organic Color Systems vegan but it is also has no ammonia, no formaldehyde, no toxic fumes, no irritation—it promises to cause no damage to the hair structure and superior results. It touts itself as the only hair color system in the world that comprises all of these qualities. My colorist wanted to try it initially because, after working with hair coloring for many years, she started to experience allergic reactions in her hands and eyes from the harsh chemicals. This has saved her AND her clients, as we have all benefitted from Organic Color Systems. She has seen a complete change in my hair and in her other clients’ and she loves the product and the company. It is mild and non-damaging but covers gray and leaves your hair in great condition. Ask your hair salon to look into offering it or go on the website and find a salon that already does. Arbonne Skincare: Vegan! 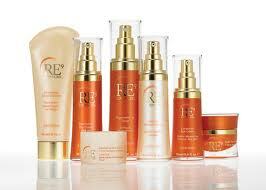 This personal care company specializes in plant-based, botanical beauty products and boasts the slogan of “Pure Safe Beneficial.” The Re9 Anti-Aging skincare line has been well-known for years—you have probably heard of Arbonne or know someone who sells it. If using vegan skincare products is important to you, then you should be aware that Arbonne is free of animal products or animal by-products, free of formaldehyde and free of petroleum based ingredients. After trying many high end skincare products, as well as drugstore brands, and a myriad of products in between, nothing has been as beneficial to my skin as Arbonne. The botanical basis combined with advanced science and technology has delivered on its promises for me and I literally haven’t found anything else like it. It’s possible that the direct marketing aspect of Arbonne is not appealing to you—the fact that it’s vegan and that I’ve seen results are top priorities for me! Everything is returnable if you’re not satisfied but I literally saw a difference in my skin after a couple of days! After using it faithfully and happily for years, I knew it was wonderful and now I am happy to learn that it’s vegan, as well!! 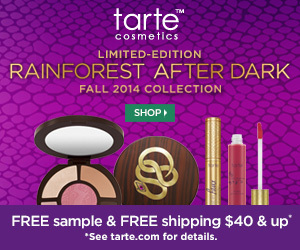 I’m always looking for great vegan beauty products! I can’t wait to try these. I’ve heard they were really great! I just discovered your site and just followed on twitter! Was looking all over to see if you ladies endorsed Arbonne and I”m so happy you do! Have been with them for a few months now and am going to share your review on my page. Great site and recipes also ya’ll! Thank you so much! We really appreciate that! Thanks for reading!